High grade stainless steel metric nylon lock nuts grade 18.8. 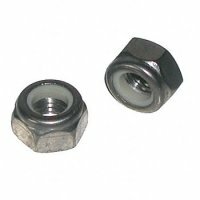 Choose from a wide variety of coarse thread (USS) stainless steel metric nylon lock nuts. We offer sizes M3, M4, M5, M6, M8, M10 and M12 stainless steel metric nylon lock nuts.